Could the Dollar be turning the corner? Currencies throughout Asia have welcomed the news that the Dollar has tumbled to a near 3-month low. A number of different currencies in the region have advanced against the Greenback, with the weakening momentum for the Dollar benefiting the Indian Rupee the most at time of writing. The indications that the market is turning more negative towards the Greenback would represent very positive news for emerging market currencies in particular, which have received a pounding over the past couple of months in response to the prolonged Dollar strength in the market. This can be seen during trading on Friday with the Thai Baht, Chinese Yuan, Philippine Peso, Indonesian Rupiah, Malaysian Ringgit and Indian Rupee all strengthening. The exact catalyst behind why the Dollar is weakening is not easy to point out, but the main contender is that fading fears over trade tensions are providing traders with a reason to take profit on Dollar positions that have been building for months. Another round of reassuring comments from authorities in China indicating that the Chinese Yuan will not be used as a weapon in the trade tensions has also been looked upon positively by the market. It does overall go without saying that the prospects for more potential weakness in the Dollar moving forward would of course be widely welcome news for a long list of currencies across the globe. As we head into the conclusion of trading for the week the South African Rand has benefited the most from weakness in the Greenback. The Rand has strengthened above 4% over the past five days, with traders looking very positively on the news that the South African Reserve Bank (SARB) were able to leave monetary policy unchanged yesterday. 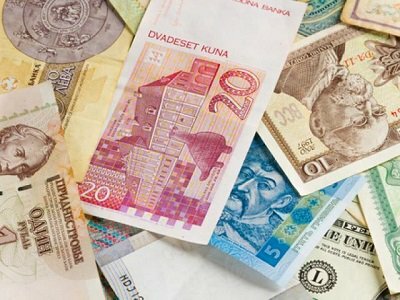 The news that inflationary pressures in South Africa unexpectedly eased in August earlier this week allowed the SARB to maintain resilience and not follow the recent path of both the Russian and Turkish central banks to raise interest rates, which was needed in both the cases of Russia and Turkey to ease inflationary pressures and defend both the Ruble and Lira from further weakness. It is not surprising that the Turkish Lira remained volatile and has shifted between both gains and weakness in the aftermath of Turkey’s finance minister announcing his plan to combat the Lira currency crisis. The market as you would expect has looked upon the announcement negatively that there has been a sharp downgrade in GDP growth forecasts for both 2018 and 2019. Growth is now expected to slow below 4% this year and narrowly above 2% in 2019, which is a sharp contrast to the overall growth at 7.4% that the economy enjoyed last year. I would keep a very close eye on the British Pound over the upcoming sessions despite the news that the Cable has rallied to its highest levels in nearly three months. 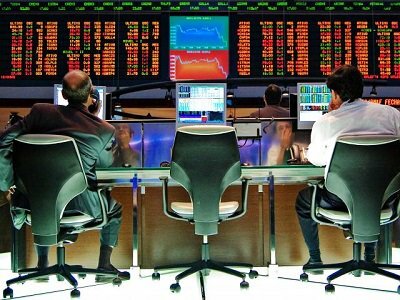 Traders appear to have repositioned in recent sessions that there will eventually be a breakthrough in the UK and EU negotiations over Brexit, but the latest summit in Salzburg failed to result in a positive outcome and the rally in the Pound can fall like a house of cards if the markets begin to reprice into the market a potential hard-Brexit eventuality. In a widely expected move, the Federal Reserve has raised its key interest rate by 25 basis points for the third time this year. The central bank expressed optimism over the US economy and projected growth to remain at a steady pace through 2019. Inflation was forecast to linger around 2% over the next two years while the unemployment rate seen falling to 3.5% next year. All in all, the relatively upbeat assessment of the US economy and little concern shown over trade tensions reinforced expectations of a rate hike in December. However, the key takeaway was the removal of the word “accommodative” from the statement which was seen as a dovish signal that suggested slower interest rate increases next year. In regards to the technical picture, the Dollar Index briefly depreciated before later clawing back losses as investors digested the updated dot plot and economic projections. The Dollar’s overall reaction to the Fed rate decision and press conference was fairly muted with prices trading around 94.30 as of writing. A breakdown below 94.00 could trigger a decline back towards 93.80. Alternatively, a move above 94.30 may inspire bulls to attack 94.50. 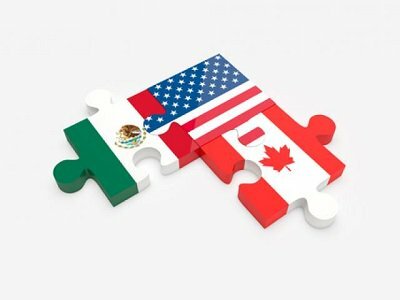 Investors have entered into the final trading quarter with a renewed appetite for risk after Canada agreed to join the United States and Mexico in a trilateral trade deal over the weekend. Global equity markets powered higher on this positive development, while the Canadian Dollar and Mexico peso both soared to fresh multi-month highs. With the new United States-Mexico-Canada Agreement (USMCA) seen as a breath of fresh air to markets, “risk-on” could remain the name of the game in the short term. However, market sentiment remains gripped by ongoing US-China trade tensions in the medium to longer term. Any fresh signs of trade tensions escalating between the world’s two largest economies could dent investor confidence and erode risk appetite. In the currency markets, the Japanese Yen was a clear casualty of the “risk-on” mood with the currency depreciating to levels not seen November 2017. An appreciating Dollar rubbed salt into the wound with the USDJPY trading towards 114.00 as of writing. With investors likely to offload the shun the Japanese Yen for riskier assets and the Dollar supported by rate hike expectations, the USDJPY could trade higher. 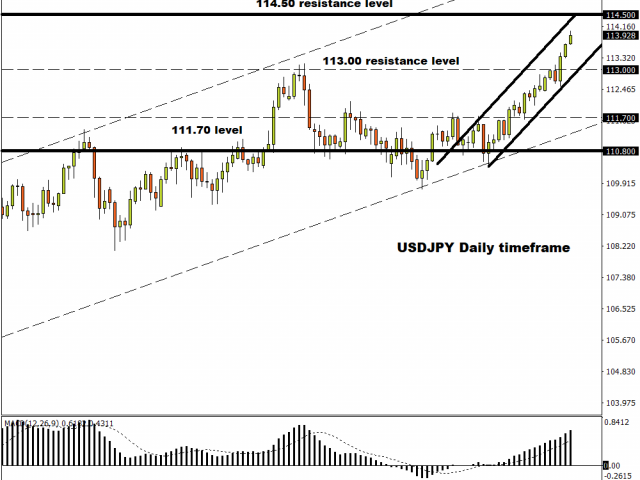 In regards to the technical picture, a solid daily close above 114.00 could send the USDJPY towards 114.50. The Canadian Dollar bulls were unstoppable today mostly due to the NAFTA optimism with the USDCAD crashing towards levels not seen in over 4 months below 1.2800. With the CAD heavily supported by higher oil prices and expectations over the Bank of Canada raising interest rates this month, the USDCAD could potentially sink towards 1.2700 and beyond. Investors will continue to closely observe if bears are able to secure a solid weekly close below the 1.2800 level. Gold traded in the background with prices bouncing within a modest range despite investors offloading safe-haven assets for riskier investments. The yellow metal may remain on standby ahead of the US jobs report on Friday. Daily bears remain in control below the $1200 psychological level with $1181 acting as a near-term bearish target. Financial markets have entered the new trading week on negative footing as a mixture of different market themes weigh on investor sentiment and promote risk aversion. Ongoing external uncertainties around matters such as trade tensions and the Italian budget coupled with increased optimism over higher US interest rates at a time where questions remain over what will happen to Iranian Oil exports from next month represent just a few of the uncertain themes that are promoting a risk-off atmosphere. The announcement from the PBoC to cut the RRR requirement for the fourth time in 2018 hasn’t been enough to inspire potential buyers back into global stock markets for now. This lack of appetite for risk was reflected across Asian markets, with Chinese equities witnessing heavy losses following a week-long holiday. The Shanghai Composite Index shed 3.7% while the CSI 300 Index plunged 4.3%. With heightened trade tensions denting risk sentiment and the prospects of higher US rates spooking investors, this could be a rough week for global stocks. In the currency markets, the Yuan has weakened to its lowest level in nearly two months against the Dollar on the backdrop of a combination of external and domestic factors. It is possible that the latest move from the PBoC to ease monetary policy by cutting the RRR requirement is a possible driver behind the offshore Yuan weakening as much as 0.5 as the USDCNY advanced back above the 6.90 level, but it is also important to take into account that a resilient Dollar has weighed heavily on a number of different emerging market currencies. The technical picture on the USDCNY is firmly bullish on the daily charts with prices trading marginally below 6.9300 as of writing. A decisive daily close above the 6.9300 level could inspire a move higher towards 6.9347. This increases the likelihood that losses in the Yuan could extend further into the week, which would be something to monitor on a global level due to how correlated Yuan moves can be for regional currencies in the APAC region and specifically because the U.S Treasury repeated previous comments that it is concerned that China is manipulating its currency. The overall risk-off vibe looks to be a threat for investor sentiment into Tuesday, and we do look at risk to suffering from a fragile global marketplace this week. Emerging market currencies stand to be in trouble this week amid risk aversion, prospects of higher US interest rates and Dollar strength. The impacts of the recent spike in US Treasury yields continues to be reflected across most major EM currencies with the Indian Rupee crashing to a new record low past 74.00, the Indonesia Rupiah touching a fresh two-decade low and South African Rand sinking to its lowest level in three weeks. With the pressure across EM likely to mount, especially for those economies with currency account deficits and high levels of debts, the outlook looks gloomy for emerging markets. Across the Atlantic, the Dollar is poised to find support from safe-haven flows, rate hike expectations, and optimism over the strength of the US economy. With the United States firing on all cylinders and the Fed expected to raise rates in December and another three times in 2019, the interest rate differential trade supports the Greenback. In regards to the technical perspective, the Dollar Index may be gearing for further upside on the daily charts with a bull’s steadily eyeing the 96.00 level. A solid close above this point could inspire prices to challenge 96.43 in the near term. A strengthening Dollar has resulted in Gold experiencing its biggest one-day selloff since the middle of August with prices trading marginally below $1185.00 as of writing. The price action in recent weeks continues to highlight how the precious metal remains negatively correlated to the Greenback. With the fundamental drivers behind the Dollar’s appreciation still firmly in place, Gold’s outlook points to further weakness. Sellers need a solid daily close below $1190 to open a smooth path towards $1180 and $1174, respectively. Global investors will likely remain on high alert throughout the end of the week to see if the largest market sell-off since early 2018 will continue. It has been an incredibly tense and volatile trading week for financial markets with equities across the globe collapsing on widespread risk aversion. The International Monetary Fund’s (IMF) gloomy global growth forecast and ongoing market uncertainties over external unknowns, such as trade tension are just a handful of the many themes that could be encouraging this sudden nosedive in investor sentiment. 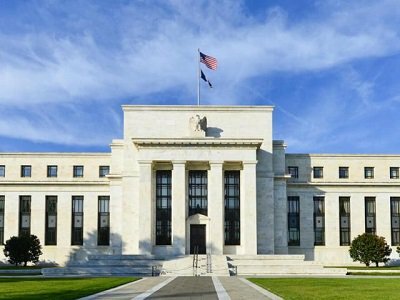 The repeated criticism from President Trump in the direction of the Federal Reserve regarding higher US interest rates is only adding to the bucket load of market uncertainty. When you combine all the different elements of financial market risk across all corners together, it becomes no surprise that risk aversion has exploded out of control. While Trump has a part to play in the current stock market selloff, there are other key factors brewing in the background. Global equity bulls are engaged in a fierce battle with rising U.S bond yields, ongoing trade tensions, global growth concerns and the prospects of higher US interest rates. For as long as these themes remain, speculation is likely to heighten over the party coming to an end for stock bulls. This might well mean the long-awaited stock market correction. It has been a bloodbath of market selling across regions throughout the globe. In China, no prisoners with taken with the Shanghai Composite Index plunging 5.22% while Hong Kong stocks shed 3.54%. 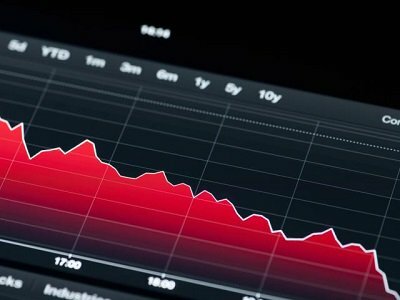 European equity markets were a sea of red while U.S stocks extended losses with the Dow Jones Industrial Average dropping more than 500 points for a second straight day. In the currency markets, the Chinese Yuan strengthened against the Dollar in line with many other emerging market currencies advancing against the USD. This came in spite of the PBoC setting the midpoint rate lower for the ninth consecutive day and might have been encouraged by weakness in the Greenback after President Trump once again lashed out at the Federal Reserve. A weaker Dollar from this point would be positive for emerging market currencies, but we must also monitor the potential risks that EM currencies could fall victim to the “risk-off” environment and the prospects of higher US interest rates. In regards to the technical picture, the USDCNY will be positioned to test 6.86 if a daily close below 6.90 is achieved. The steep sell-off in U.S. equity markets suggests October could be the worst month since the global financial crisis of 2008. 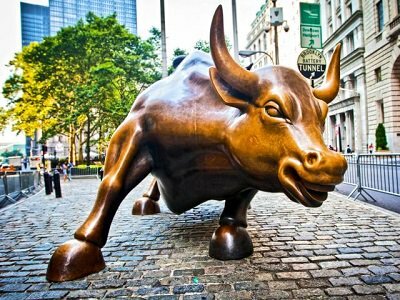 Seven trillion dollars have already been wiped from the global market cap, and still there are no signs of bulls returning. Chinese stocks fell today with the CSI 300 declining more than 3% while the Yuan remained trading near a decade low. The Nikkei 225 gave up gains of more than 1% to trade in negative territory. Moving against the trend were stocks in Australia, with the ASX 200 gaining more than 1% supported by the healthcare and telecom sectors. The bears seem well in control of the market and there’re many reasons to justify their actions. Whether it’s weakening global economic growth, the ongoing U.S.-China trade war, monetary policy tightening, fears of a hard Brexit, Italy’s budget woes… and the list goes on. What is more interesting is that investors are even punishing companies that have reported positive earnings surprises. To date, almost half of S&P 500 companies have announced earnings results for Q3. Out of 241 companies, 77% managed to beat on EPS, and 59% beat on sales according to FactSet. Companies that have reported positive earnings surprises saw their stocks declining 1.5% on average two days before the earnings release through two days after the announcement. 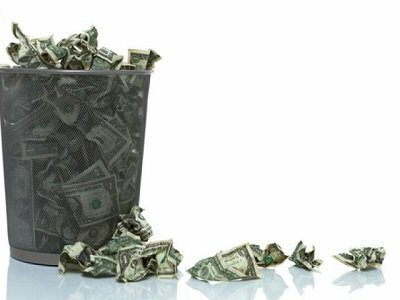 So, earnings do not seem to be a key reason for the market sell-off despite some big names like Amazon and Alphabet disappointing investors. In fact, valuations are becoming attractive following a 10% plunge in the S&P 500. Forward P/E ratio is currently standing at 15.5 compared to the 5-year average of 16.4. That’s the time when investors should consider buying companies with strong fundamentals. This is especially the case when economic data is still supporting. Friday’s data showed the U.S. economy expanded 3.5% in Q3 after 4.2% growth in the previous quarter mainly driven by consumer spending. So far, it seems more of a market correction than signs of a recession. However, if leading economic indicators begin pointing south while the Federal Reserve keeps raising interest rates, the stocks correction may become a bear market. Inflationary pressures are the biggest risk to preventing the Fed from slowing the tightening cycle. That’s why investors need to keep a close eye on Friday’s U.S. wage growth figure. The early part of trading for the week has already showed how sensitive emerging markets can react to newsflow around potential trade developments with a number of different emerging market currencies trading lower against the USD on Monday. This has included losses close to 1% in the Indian Rupee, while the Chinese Yuan has lost just over 0.5% and the Malaysian Ringgit above 0.4%. This trend of trajectory does overall sum up how sensitive emerging market assets will be to newsflow around a potential breakthrough in trade talks between the two largest economies in the world. Elsewhere, there are some indications at time of writing of limited trading volumes as the new trading week commences, which sum up that investors could be hesitant to add more positions into their portfolios just one day before mid-term elections take place in the United States. When you consider how off-guard financial markets have been caught to political events in recent history, caution before the event is a likely investment strategy that is on the mind of investors. This means that we might not see much movement in global stocks before the event, while safe-haven assets like Gold and the Japanese Yen will be the first thing on traders’ minds if an air of market uncertainty comes their way. The general consensus is that while, overall, mid-term elections do not on a historic basis create too much fuss in financial markets, this administration running the White House is unlike anything we have seen before and this is why it is expected that investors will tread with caution before the outcome becomes clearer. It is not possible to predict potential political outcomes in the modern world of unpredictable politics, but most emerging market investors will be hoping the Dollar does sell-off on the outcome of the election because emerging markets do appear heavily undervalued at current levels. The upcoming Federal Reserve meeting will be another risk event to monitor this week, but interest rates are not expected to change in November and as long as the FOMC carries the same narrative that U.S. interest rates will be gradually adjusted higher in the next 15 months or so, the mid-term elections should overshadow the Fed decision when it comes to potential financial market volatility. The best-case scenario for investors who would like to consider selling the Dollar at what still appears to be historically-high valuations for the Greenback would most likely be that the mid-term election outcome encourages concerns that President Trump will face legislative resistance when it comes to pushing pro-America policies. Emerging markets are those that remain greatly pressured from broad-based Dollar strength, so I would expect emerging market currencies to be contenders to benefit the most over the medium-term if the Dollar does get squeezed lower. The return of re-imposed sanctions on Iran on November 5 has encouraged a small recovery in the Oil markets today. However, I wouldn’t buy into this headline too much, because we could be in line for a small recovery in the Oil markets after the commodity edged dangerously close to bear market territory after withdrawing close to 20% from its multi-year highs a few weeks ago. Re-imposed sanctions on Iran have been something that were priced into the Oil markets a long time ago, all the way back from when Trump confirmed he would pull out of the 2015 nuclear deal, so I wouldn’t associate sanctions coming back into play as a near-term driver for the price of Oil. I would instead, focus more heavily on the global demand outlook because of the ongoing external uncertainties weighing down on economic prospects. This is something I see of more of a risk for Oil over the coming months. If concerns over slowing global growth come to fruition, it signals less demand is needed for commodities like Oil and I see this as a major risk to the valuation of Oil. Hopes of Pound rising above 1.35 on Brexit deal long way off! Optimism that a long-awaited breakthrough on the prolonged Brexit negotiations is close has sent British Pound forecasts into a frenzy. Suggestions are making their way that the Pound could rally all the way to 1.35, if not above on an eventual breakthrough in the Brexit drama, but I would personally stay away from such claims. Yes, we all know how sensitive the British Pound has behaved to Brexit newsflow but let’s not get ahead of ourselves and suggest a return to 1.35 is imminent when the GBPUSD is trading marginally above 1.30 at time of writing. UK Prime Minister Theresa May will still need to receive approval for the terms of the soon-to-be-expected agreement, which given the ongoing controversy that Brexit still receives around the United Kingdom will likely not be an easy task. I would personally factor into consideration that the Pound is just as much likely to shoot lower once again on more Brexit gridlock, as it is to aim higher on a breakthrough. Such headlines on an expected rally in the Pound generally suggest that markets are positioning themselves on a breakthrough, meaning that I would factor into my own expectations how suddenly the Pound could fall sharply below 1.30 on another round of hard-Brexit fears. Just a few days after Fed Chairman Jerome Powell unexpectedly signaled that the Federal Reserve is turning dovish, investors received further positive news over the weekend after a temporary ceasefire between Washington and Beijing regarding trade tensions was announced after the G-20 summit in Argentina. The two-hour dinner between senior authorities from both the United States and China, including President Trump and President Xi, that led to the announcement of a temporary trade truce was of greater importance than the G-20 communique which stated that the WTO needs to be reformed to improve its function. What was delivered over the dinner was not a breakthrough, neither a long-term solution for the ongoing trade war between the largest two economies, but a 90-day window to improve relations. Introduction of new tariffs are now shelved, and trade talks will intensify over the next three months. This outcome seems to be an optimistic one from the two leaders and more than what was priced into markets beforehand, meaning that this is enough to boost sentiment and risk-on trade. Chinese stocks rose more than 3% and the S&P 500 futures surged 1.7% at the time of writing. While bulls seem to be well in control for now, investors need to know that what was achieved is only a short-term relief to markets. Whether this will be translated into longer-term advances depends on the path of negotiations over the next three months. For now, one obstacle has been removed, but all longer-term risks remain there. The risk-on rally sent Brent Oil above $62 early Monday. The U.S.-China trade truce is not the only source of support for prices, but signals of another production cut from Russia and Saudi Arabia seem to be the key factor. OPEC’s official meeting will be held on Wednesday and markets are expecting to see a substantial production cut after Russian President Vladimir Putin said his country’s cooperation on Oil supplies with Saudi Arabia would continue. Another surprising announcement came from the government of Alberta on Sunday stating a cut of 325,000 barrels a day for three months starting in 2019. Given this combination of factors, Oil prices are likely to have bottomed out for 2018, but a confirmation is needed when OPEC and non-OPEC members meet in Vienna on December 6. The demand for riskier assets sent the Dollar lower against most developed and emerging market currencies. The Dollar index fell back below 97 with commodity currencies AUD and CAD being the best performing ones. The Chinese Yuan also broke a three-week trading range to trade 0.8% higher against the Greenback. This relief rally may continue for the next couple of days, unless surprising negative news arises. Emerging market currencies are poised to remain in the firing line this week as ongoing trade tensions, Brexit uncertainty, depressed equity markets and turmoil in France cripple investor confidence. The unfavourable market conditions are already boosting appetite for the safe-haven Dollar, which will most likely translate to further pain and punishment for EM currencies. With concerns over plateauing global growth and geopolitical risk leaving sentiment extremely fragile, risk aversion has the potential to become a major theme in the near term. In the currency markets, the Chinese Yuan weakened against the Dollar mostly due to trade tensions. 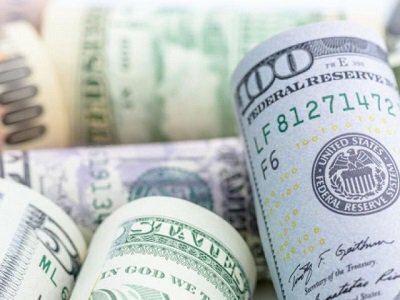 An appreciating Dollar weighed on the local currency further with the USDCNY trading marginally above 6.908 as of writing. With trade tensions seen weighing on the Yuan but strengthening the Dollar, the USDCNY has scope to challenge 6.923 in the near term. The British Pound was treated without mercy by bearish investors on Monday after UK Prime Minister Theresa May abruptly postponed a parliamentary vote on her Brexit deal. Appetite towards Sterling instantly diminished following the news with the GBPUSD crashing to levels not seen since April 2017. A strong sense of uncertainty over the various scenarios that could happen regarding Brexit is likely to leave investors extremely uneasy and edgy. As the week progresses market players will be pondering whether May has the ability to renegotiate with Brussels in a bid to save the deal? If she will face a leadership vote or the possibility of a second referendum. With Brexit chaos in the House of commons raising the likelihood of a no-deal scenario, the near-term outlook for the Pound points to further downside. 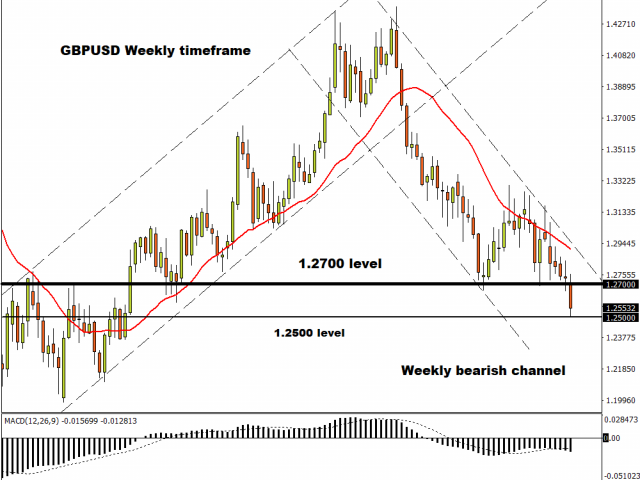 In regards to the technical picture, the GBPUSD is heavily bearish on the weekly charts. The downside momentum could send prices below 1.2500. 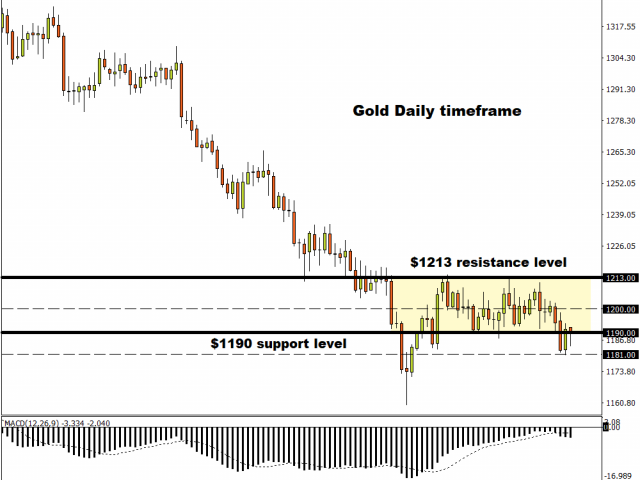 Bears remain in firm control below the 1.2700 resistance level. The Dollar staged an impressive rebound as trade tensions and Brexit related uncertainty sent investors sprinting to the safe-haven currency. Although the Dollar has scope to extend gains on safe-haven flows, the upside is poised to face headwinds in the form of fading Fed hike expectations. With November’s disappointing US jobs report reinforcing expectations over the Federal Reserve taking a pause of rate hikes next year, Dollar bulls are at threat of running of inspiration in the medium term. Focusing on the technical picture, the Dollar Index has scope to hit 97.50 this week. In a widely expected move, the Federal Reserve has raised its key interest rates by 25 basis points for the fourth time this year. However, the central bank’s less dovish than expected tone came as a surprise that sent shockwaves across financial markets. Investors who were hoping for a firmly dovish statement that dropped the phrase “further gradual increases” where left disappointed after the Fed flagged “some further gradual increases” on rates were still on the cards. Although the dot plot was revised lower to two rate hikes for 2019 from three previously, the Fed’s less dovish stance sent jitters through US stock markets. Investors seem concerned with the fact that the Fed is signalling further rate hikes despite such unfavorable market conditions and lower economic growth forecasts for 2019. It is worth noting that hawkish comments from Fed Chairman Jerome Powell compounded to the uncertainty, especially when considering how Powell was dovish a few weeks ago. While the Dollar has the potential to extend gains on the hawkish Fed hike, bulls still remain a threat of running out of steam. With the Fed likely to adopt a data dependent approach to monetary policy decisions next year, the Dollar is poised to become highly sensitive to domestic economic data. Signs of the US economy experiencing a slowdown will weigh on prospects of higher US interest rates – ultimately pressuring the Dollar. The Chinese Yuan offered a fairly muted response after the Federal Reserve raised interest rates by 25 basis points. With the US rate hike already heavily priced in, the Yuan was most likely concerned with other pressing market themes like ongoing trade tensions. With global growth fears and other geopolitical risk factors weighing on investor confidence, emerging market currencies remain vulnerable to downside shocks. In regards to the technical picture, the USDCNY could retest 6.90 if the Dollar continues to appreciate.